It’s October…which means it’s pumpkin season! Here in Italy you see pumpkins all the time during this month, but mostly for culinary purposes. Halloween is not celebrated as much as in the US so pumpkin decorations are seen less of here. 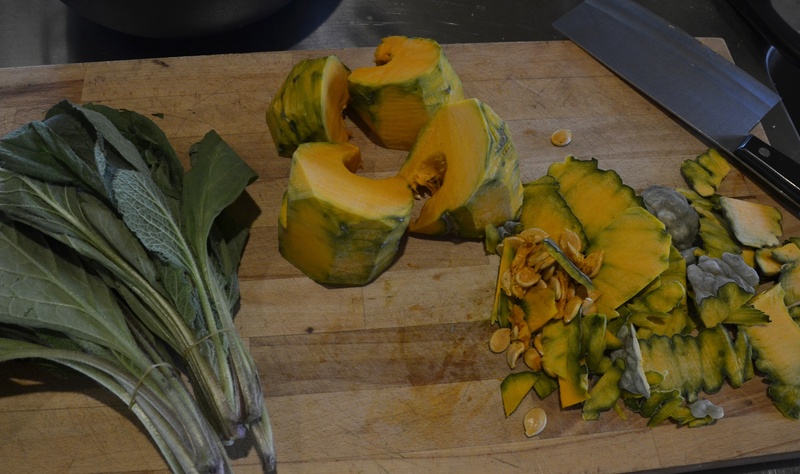 Pumpkins here are mostly used for risotto or soups. I love pumpkin, it’s a comfort food for me. 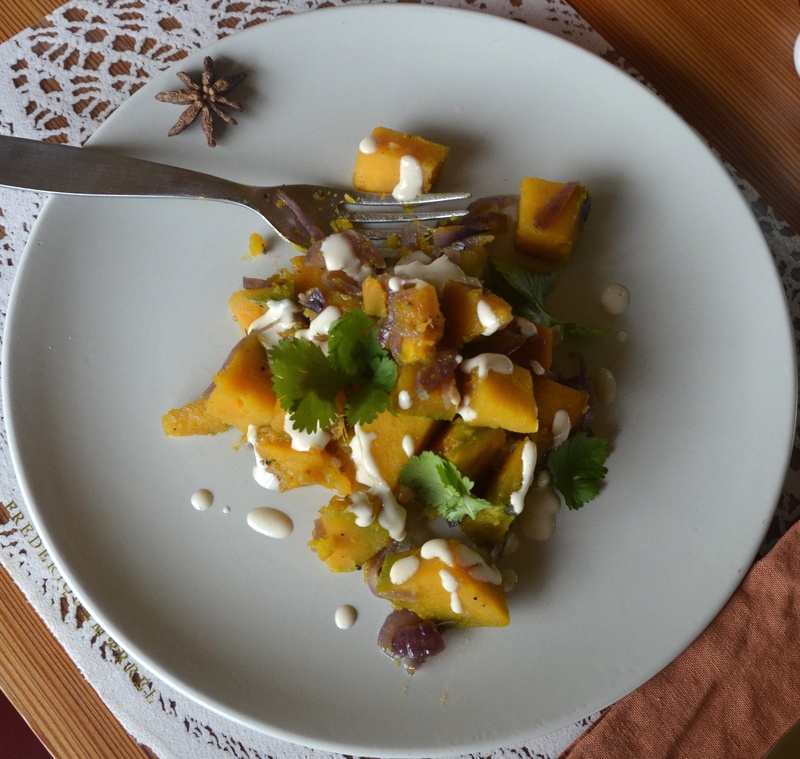 This recipe was inspired by Ottolenghi’s book Jerusalem. It was such a surprise, I made it again after three days because it was so good. Turn the oven on 375 degrees. take the skin off of the pumpkin and cut in 1 inch pieces. chop the onion into slices. 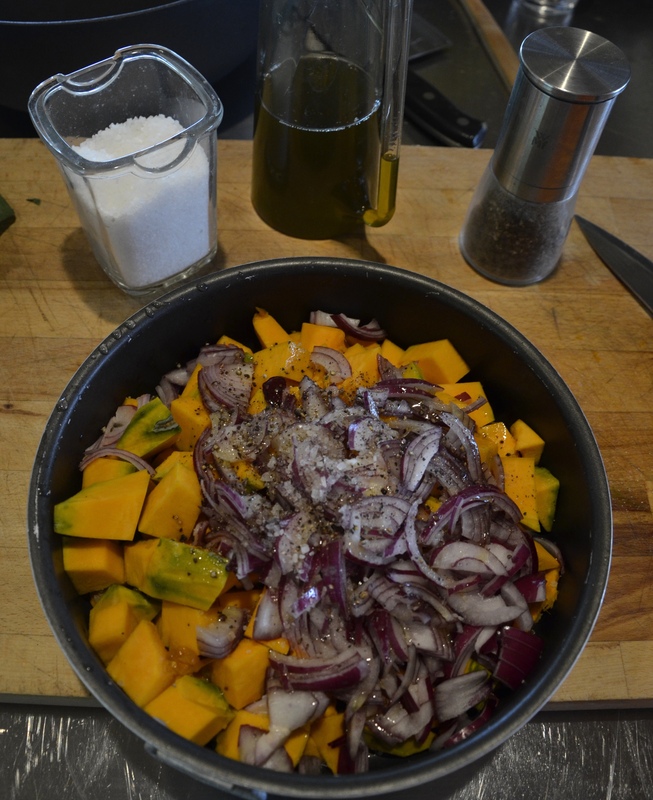 put the vegetables into an oven pan and mix well with the olive oil, coarse salt and pepper, cover with foil and cook for 30 minutes covered and other 10 minutes uncovered. the pumpkin will be ready when a fork can easily smash into it. in the meantime toast the pine nuts for a couple of minutes on a pan stirring frequently until golden, then set aside. 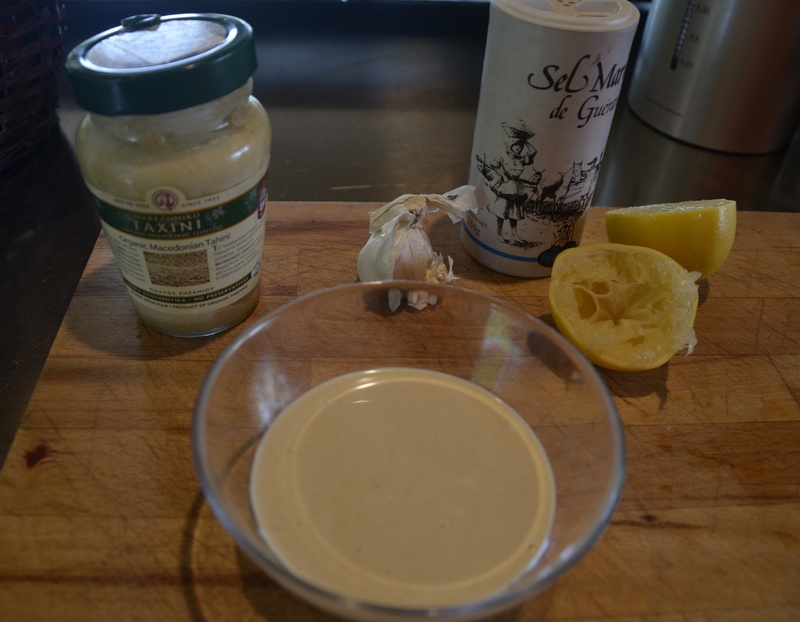 Prepare the tahini sauce by mixing the tahini, lemon juice, water and the garlic clove minced. you are looking for a smooth and liquidy sauce so add more water if needed. Serve on a plate, top with the pine nuts, drizzle the tahini and add some coriander leaves.